ME PYRAMID is made of a soft foam material with high noise absorption capacities and stands out thanks to it’s high fire prevention qualities. 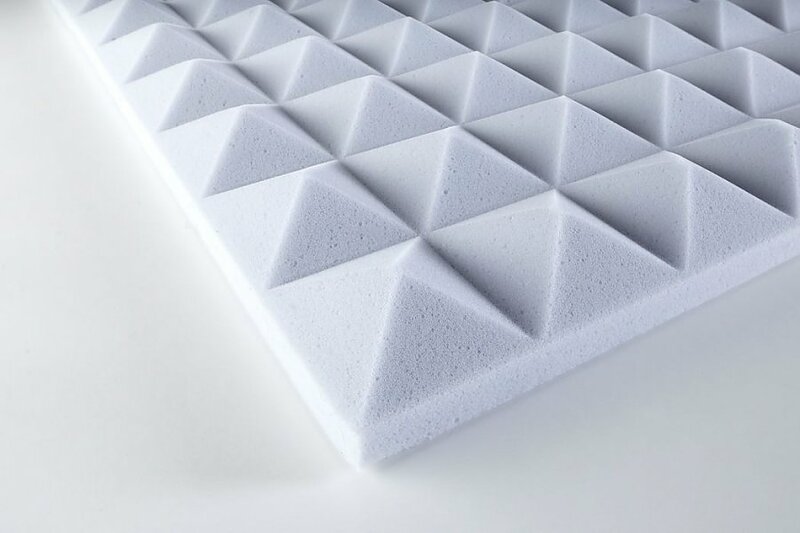 The raw material we use for our acoustic panels is the foam Basotect of the company BASF. ME PYRAMID is specially suited for cases where high fire prevention qualities and a good sound absorbtion are required. Thanks to its low weight in combination with a good stability ME PYRAMID can also be used as selfsupporting sound absorbing element.